During the course of each year I normally give a number of county-focused lectures around Ireland, concentrating on specific Irish emigrant stories from different localities. I an conscious that many of the readers of the site do not have an opportunity to attend these, so I was pleased to be alerted to the fact that one is now available online (thanks Jackie!). The talk in question was on Galway and the American Civil War and was delivered at Galway City Museum on 15th October 2015. The audio has been combined with the original powerpoint slides by GK Media– you can play the talk via the link below. I hope it gives you a flavour of the style and form these county-focused talks normally take. Many thanks to the folks at the Galway City Museum for posting your presentation …. from a friend across the pond! Sending best wishes to all interested in the Irish in the American Civil War! Reblogged this on The CRAIC in Galway. Damian, just finished listening to your presentation on Galway Irish in the US Civil War. Fascinating as usual ! section of Forestdale Cem in Malden. The local Veterans Services helped to place a headstone on his grave in 2015. This July I went to Rye Hill while visiting cousin but no one knew of any Glynns that lived there. Wonderful to have these records. Your fellow East Corkman in Tennessee. Correction: Pension application was 1915. Many thanks for that, really glad you enjoyed it! I remember you telling me about Michael, he had an incredible life afterwards. What would we do without the fabulous records of their service? It really does offer a window into their emigrant experiences. Moore, Dennis R., 1946- 2006. *Order of execution: the trial and execution of Private John Carroll, Company D, 20th Wisconsin volunteer infantry. *Manitowoc, Wisconsin: Bivouac Publications, 2006, 200p, paperbound. ORDER OF EXECUTION. The story of the only Wisconsin soldier executed during the American Civil War. 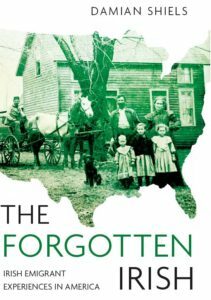 In the summer of 1862, John Carroll, an illiterate Irish Catholic was working as a farm laborer just outside Racine, Wisconsin. On June 20, 1862, Lieut. Charles Butler, recruiting for the 20th Wisconsin Volunteer Infantry Regiment, stopped by the farm and convinced Carroll to enlist as a private in the 20th Wisconsin. After suffering numerous casusalities at the battle of Paririe Gorve, Ark., the 20th Wisconsin became part of General Nathaniel Bank’s expedition to the Texas coast. On Nov. 3, 1863, the 20th Wis. along with other union units traveled up the Rio Grande and took the City of Brownsville, Texas. While the rest of the army moved on, 100 men from the 20th Wis., including Pvt. John Carroll, remained behind to act as provost guard. On Nov. 20, 1863, Carroll was arrested for alleged crimes committed the the City of Brownsville. Ten days later, Carroll without legal counsel, and unable to defend himself, stood before a mostly Protestant court-martial tribunal. He was quickly convicted and sentenced to death. It took nine months, but on Aug. 16, 1864, President Lincoln signed Carroll’s order of execution. Three months later, Carroll stood before a military firing squad. Of the 267 union soldiers executed by the federal government during the Civil War, John Carroll was the only Wisconsin soldier to share their fate. Was his execution an example to other soldiers, prejudice against the Irish, or military justice? Many thanks for the detail on this, it is a new one on me, I must try and get my hands on it! Let me know how it is. Thanks Finola! Looking forward to giving that one- there were so many people from West Cork in the Civil War it is incredible, a real forgotten story. No doubt related to the rate at which they were fleeing the famine. Let us know if there’s anything you’d like to see around here or if we can help in any way. Brilliant Damien just finished listening to your lecture sorry to have missed it in Galway, fascinating subject we need to follow our peoples stories across the Atlantic rather than talk just in terms of numbers emigrated their stories and lives went on and this such an important part of our shared history both here and in states In many ways even to recent times the west of Ireland was more in tune and up to date with what was happening in America than it was with Dublin. Really glad you enjoyed it! I couldn’t agree more, there are just so many thousands of these emigrant’s stories waiting to be uncovered! Can you please tell me if men by the name of. Small. from Castlegar Co, Galway fought in the American civil war. I know I had relations who joined an army in the US around that time. Thank you in advance for any help you can give me. It can be hard to pin down men by county given the records, but there are Smalls from Ireland who served. For example there was one who served in the 198th Pennsylvania from Ireland called Robert Small. Do you know his first name?